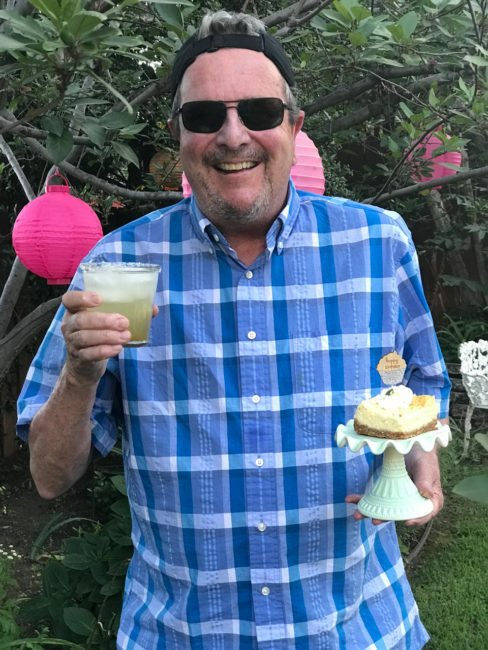 Tom’s birthday this year falls on National Tequila Day. Since it is also a work day (for some of us at least), instead of downing some margs, I decided to make him the Top-Shelf Margarita Cheesecake found in Booze Cakes, Confections Spiked with Spirits, Wine, and Beer. This recipe book was a gift from our friends, Dan and Linda, whose favorite booze cake is Tom’s Famous Black Russian Bundt Cake. I have marked many cakes in this book that I would like to try but this is the first one I’ve made. The recipe calls for a cornmeal crust, but I just couldn’t envision a margarita rimmed with a savory crust so I went with a Graham Cracker Pretzel Crust, as I prefer a salty/sweet rim on a margarita. 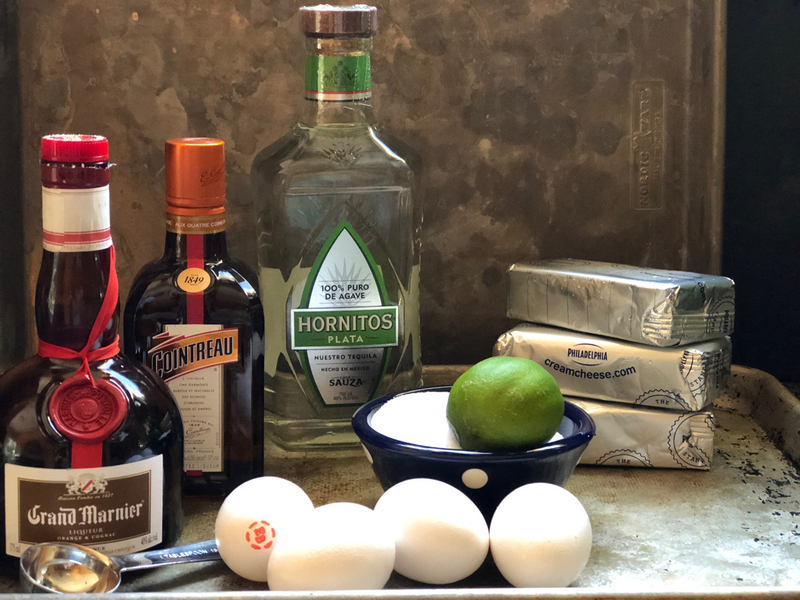 Now, speaking of tequila, the recipe was silent on what kind to use other than “top-shelf.” Recently, Tom has been preferring silver tequila to gold so that is what I used in this recipe. I don’t think I would go so far as to spring for an expensive sipping tequila, especially as you are only using a few tablespoons, but if you’ve got it on hand, why not? I used a combination of Cointreau (you can also use Triple-Sec) and Grand Mariner (just like a Cadillac Margarita!). 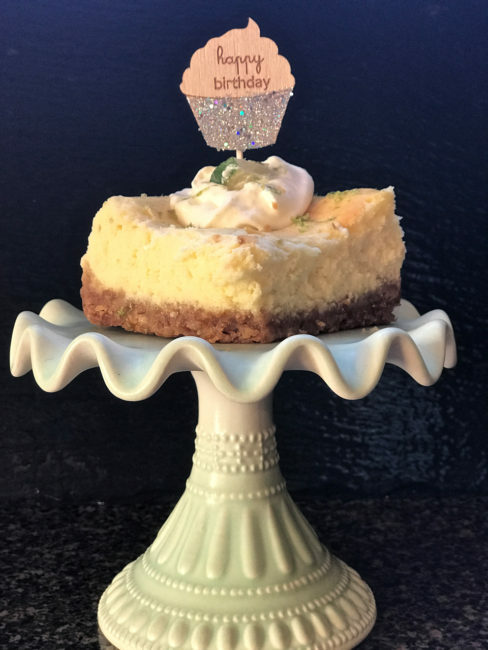 The Cointreau and Grand Marnier add a bit of orange essence to the cheesecake. Lastly, I made this into bars so it is easier to serve but you can make it into a cheesecake if you prefer. 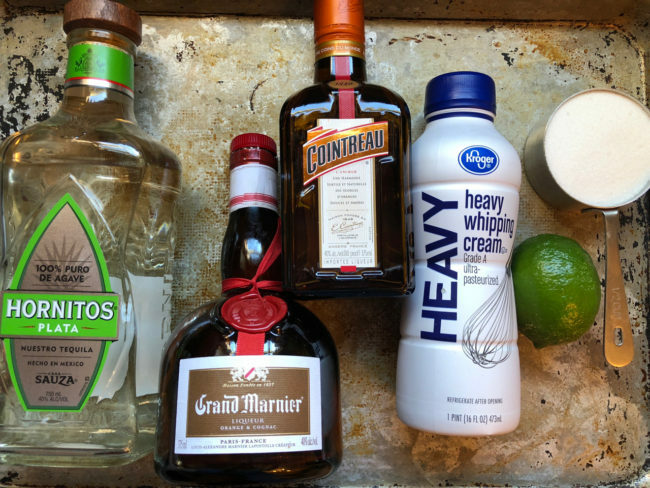 There is a great margarita whipped cream topping which would also be fabulous spooned over fresh berries (or better yet, just eat it with a spoon!). Preheat oven to 350 F. Line a 9×9 square pan with foil leaving a little hanging over the sides to use as handles to lift the bars out of the pan. 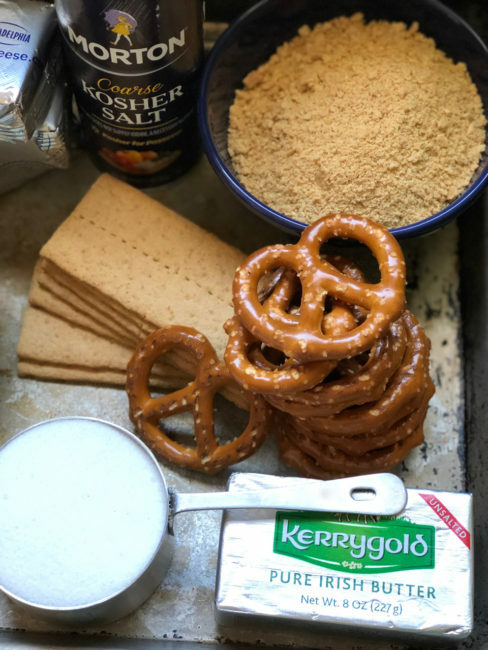 In a blender or food processor grind the pretzels and graham crackers until fine. Pour into a medium bowl. Whisk in sugar and salt. 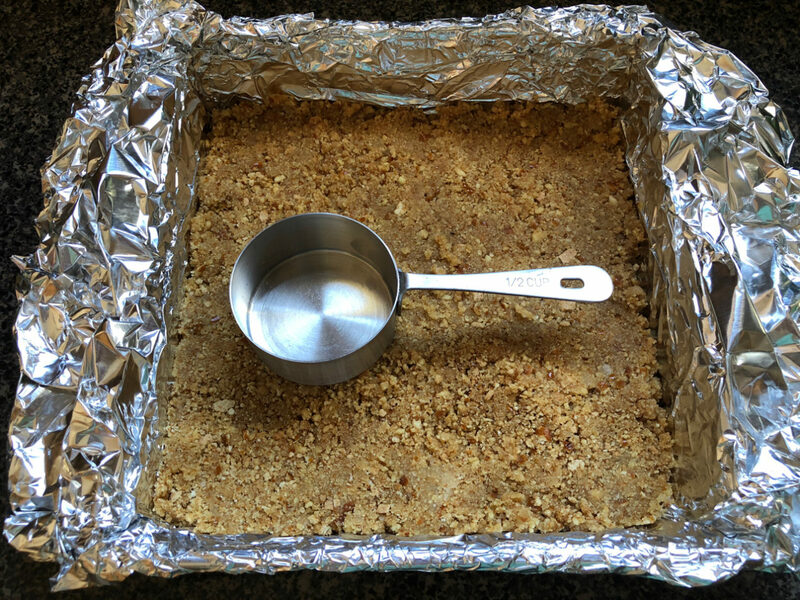 Combine the crumbs with the butter and press into the bottom of the prepared pan. Use a small ramekin or flat bottomed measuring cup to pack down and smooth the crust. 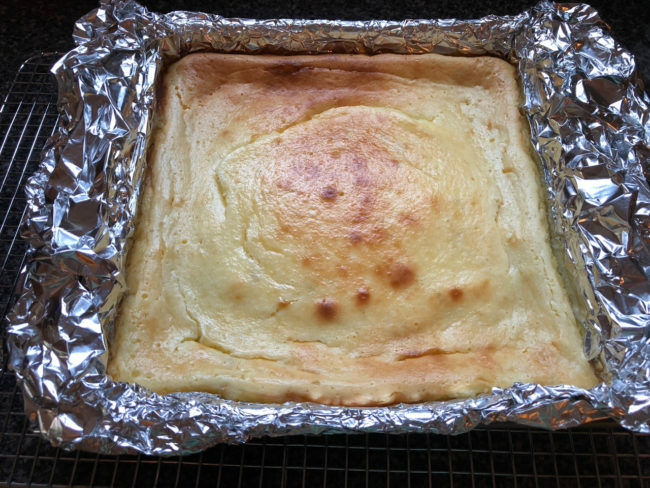 Bake for 9-10 minutes until fragrant and beginning to brown around the edges. Set aside to cool on a wire rack. 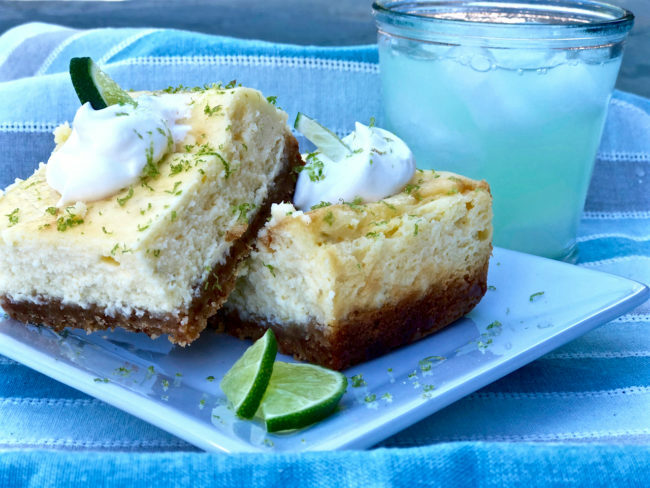 Be sure it is completely cooled before adding the cheesecake filling. 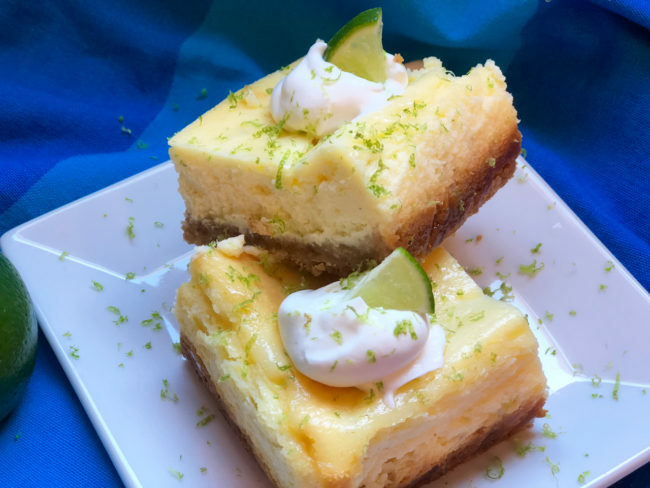 In a medium mixing bowl, combine cream cheese and sugar and beat until smooth and completely free of lumps, scraping down the sides, 3-4 minutes. Beat in the eggs, one at a time. Stir in the remaining ingredients. 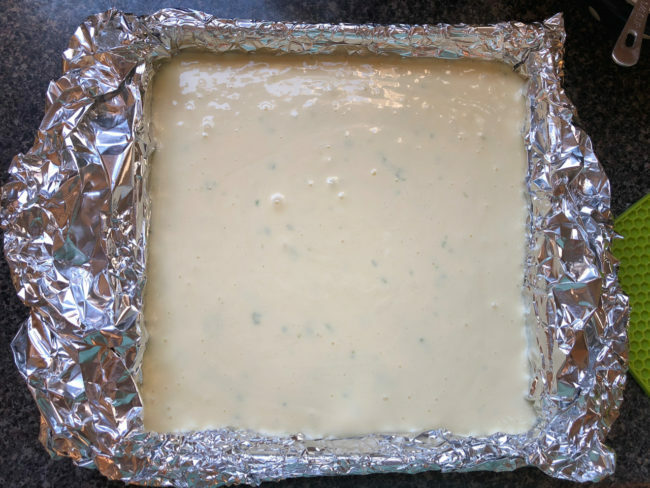 Pour the mixture into the cooled crust and bake 45-50 minutes until the cheesecake has set up and the edges are lightly browned. Remove from the oven and cool at room temperature for at least an hour on a wire rack. Cover. Transfer to the refrigerator and chill at least 5 hours or overnight. 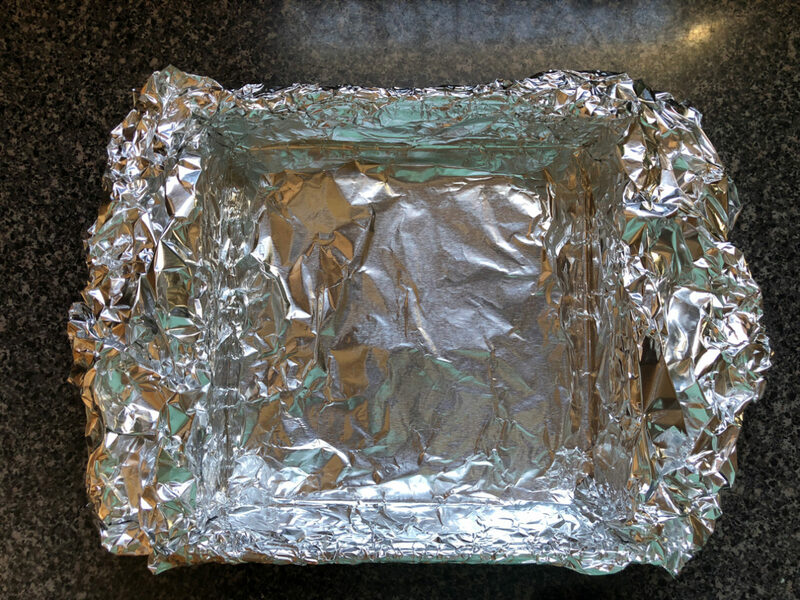 Using the foil handles, lift the bars out of the pan and cut into squares. 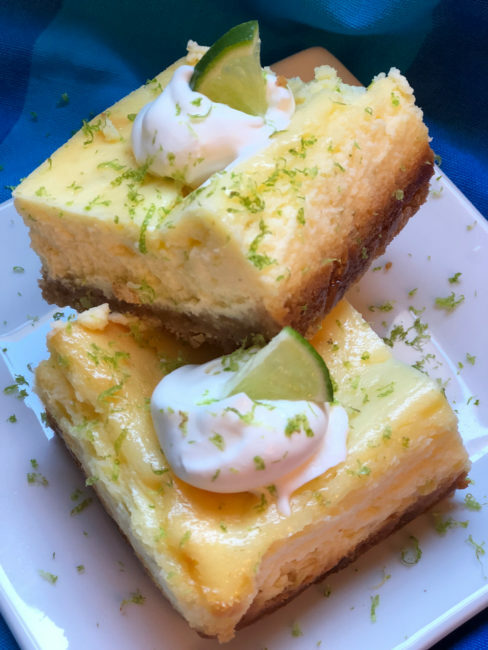 Top with a dollop of Margarita Whipped Cream and lime slices or lime zest. In a mixing bowl combine all the ingredients; starting on low speed and gradually increasing to high, beat until soft peaks form, 2-3 minutes. This will not form stiff peaks like regular whipped cream due to all the liquid. Makes 9 large servings or 16-20 smaller bars. Recipe adapted from Booze Cakes by Krystina Castella and Terry Lee Stone.